I love cooking in my Airstream, but one thing I don’t love: frying. Though the kitchen is very well designed and accommodates cooking a full meal, the very nature of frying makes your entire house—big or small—smell like whatever you’ve got in the pan. Because of that, I tend to rely on heat-and-eat type stuff in the Airstream. 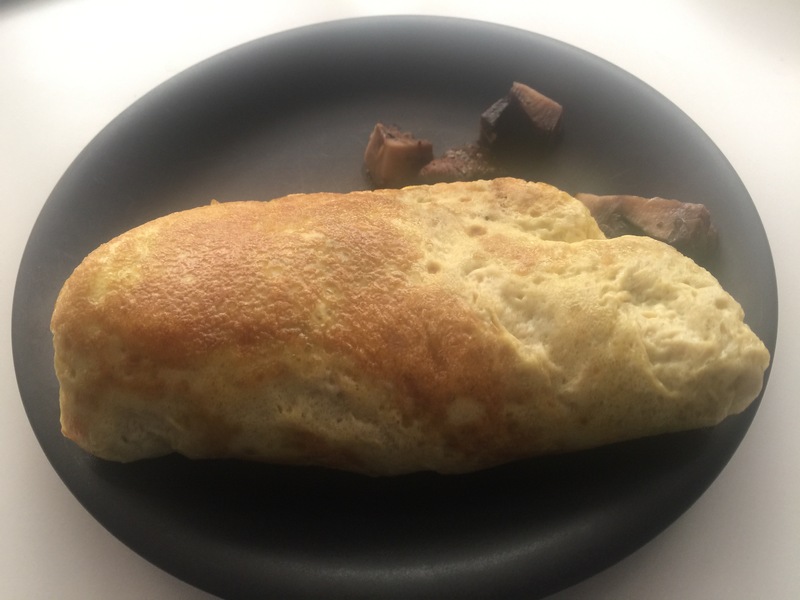 Admittedly, being squeamish about eggs (I didn’t eat them for more than 30 years), I had visions of a rice cooker omelette being an abject disaster: messy, smelly, explosion-y. I attempted this recipe, and the outcome could not have been better. The recipe is easy—even easier than making an omelette on a stovetop—and it actually stayed together! (I still haven’t mastered the art of making an omelette in a frying pan. I still always wind up with some variation of scrambled eggs.) I was shocked to open the rice cooker when it beeped to find a GIANT soufflé-like mass that immediately deflated the moment I opened the lid. I sprinkled on some cheese and portobello mushrooms, and let it “steam” for a few more minutes. Then, was the real test: getting it out. Stunningly, I folded the omelette in half, and it popped right out! The meal took about 5 minutes start-to-finish (including eating it), and couldn’t have been more tasty! The recipe has the ominous note: “The omelet should not be fully cooked when removed from the pan because it continues to cook on its own after removed from heat.” This (for some reason) was one of the reasons why it took me so long to actually try this recipe. It seemed to fly in the face of every rule I knew about cooking eggs: don’t eat them raw or undercooked. However, I’m not sure why this note is even included in the recipe. My omelette was perfectly cooked and there wasn’t a stitch of raw eggs in sight! I can’t recommend this method enough… especially for my friends in tight quarters! Previous Previous post: The Porch is Done!!! Next Next post: A chilly night.